I shampoo once a week. Again, there is never a time where I have gone longer than that. 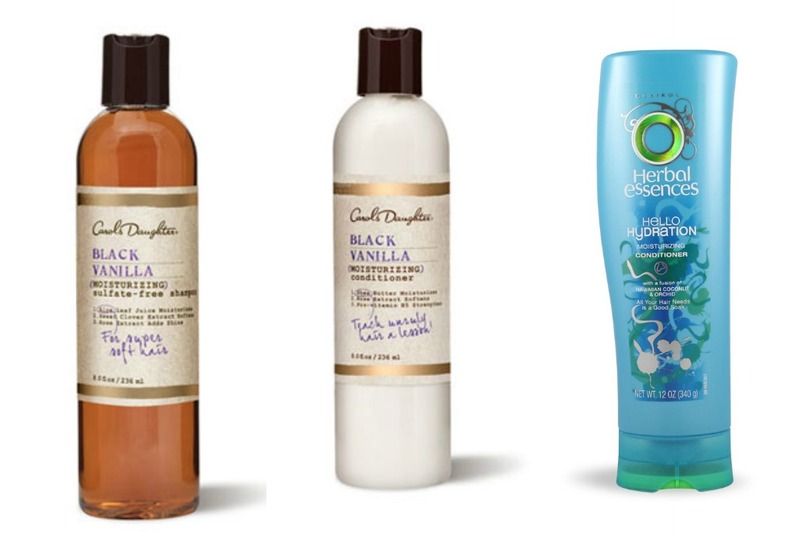 I use the Carol’s Daughter Black Vanilla Shampoo. I really like this shampoo. I know a lot of naturals don’t like shampooing because they find it to be very stripping, but for I prefer for my hair to feel clean and nothing in it. That is just my personal preference. Might I add I LOVE the smell, anything Vanilla scented has my heart. Now with co washing I found that since my hair has gotten longer I actually don’t co-wash as much as I use to…maybe once or twice a week (But I can go the whole week without co-washing). This is because I usually try to keep my hair stretched all week and co washing would just shrink my hair. BUT, there are time when I do co wash and that is usually when my hair has been slicked up with gel sometime throughout the week, and since I don’t like keeping the same gel application all week I will co-wash it out and re-style. So that is usually the only time I co wash. Oh and what I use to co-wash is the Herbal Essence Hello Hydration conditioner. Which I LOVE!! Is has the best slip EVER! Like seriously as soon as a apply it, I can instantly run my finger through my hair. Love It! Since summer is approaching I may start to co-wash more often because of the humidity and more sweat production, etc. I also like doing wash n go styles more often in the summer. 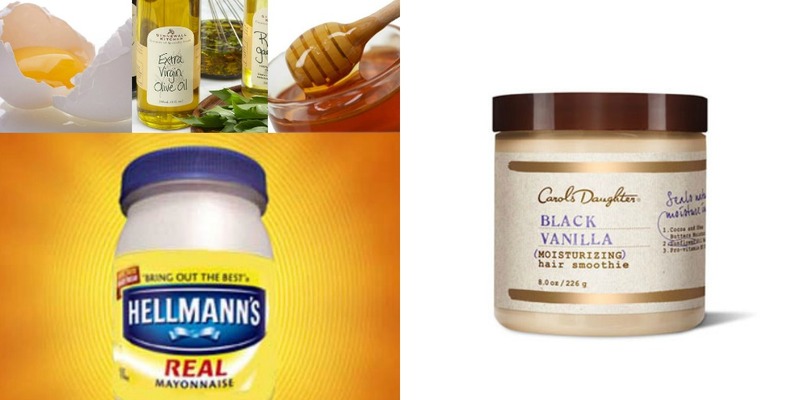 The deep conditioner that I am using is at the moment is no other than the Carol’s Daughter Black Vanilla Hair Smoothie, which I love. I usually apply it and leave it on for about 25-30 minutes using my Heat Therapy Wrap. I sometimes leave it on longer (or even overnight) if time permits. Now as far as a protein treatment goes, I do not do then as much as I use to; before I use to do them every two weeks. Now I would say I do them every 2 months. The reason is because I find that since I am VERY consistent with my regimen I don’t feel the need for it that often anymore. I still use the same protein treatment from before which I mix myself. It consists of Mayo,1 egg, Honey & EVOO, which I also leave in for at least 30 minutes with the heat wrap. Very nice post. I just stumbled upon your blog and wanted to mention that I’ve really loved surfing around your weblog posts. After all I will be subscribing to your rss feed and I am hoping you write once more soon!